We’re excited to announce our first HUB XV Members’ Race Day will take place on Wednesday 1st May. 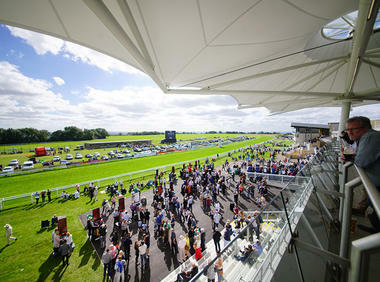 Join us on The Roof Garden from 4pm to enjoy the races with a drink in hand as the sun sets over Bath Racecourse. The Roof Garden is the perfect al fresco experience, located on the top floor of the Langridge Stand with spectacular views.